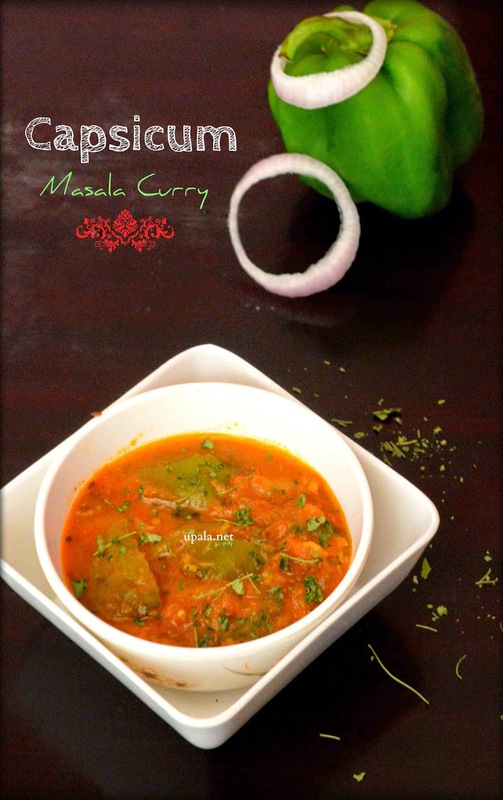 This Capsicum /Bell pepper Masala Gravy is tasty and easy to prepare gravy that serves as a perfect side dish for Roti, Paratha and Rice items. 1) Boil Tomatoes in water for 5 mins. Drain water and keep aside. After it cools remove the skin and grind to smooth paste. 2) Heat Oil in a kadai and add Cumin seeds to crackle.Then add onions and fry till light brown. 3) Now add Capsicum and fry. Capsicum has to get roasted in oil and reduce in size. 4) Next add Ginger Garlic paste and fry till raw smell goes off. Add Tomato puree, Salt and leave it to boil till capsicum gets cooked. 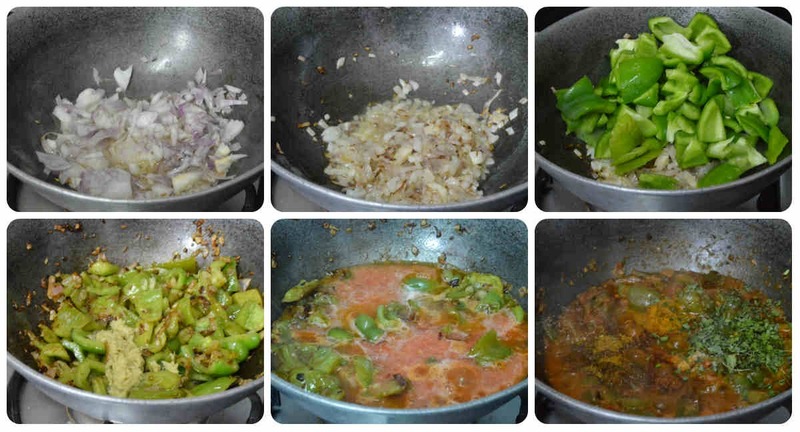 5) Add the spice powders, Kasurimethi and leave it to boil till it starts thickening. 6) Add fresh cream, mix well and switch off the flame. Finally, garnish with coriander leaves. Tasty Capsicum Gravy is ready to be served. 1) You can omit Fresh cream if you are diet cautious. 2) Try this gravy with a mix of Red, Yellow and Green capsicums, it looks so colourful.